This week, Kenny and his team have created a Golf Course Layout Pack with a striking ambience. 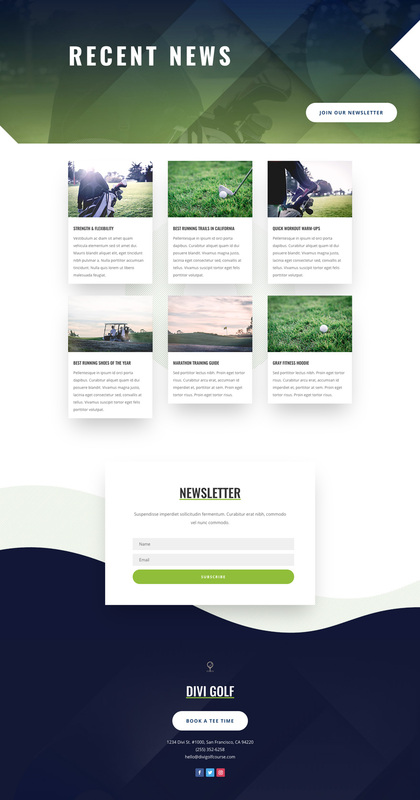 This layout pack is professionally groomed for marketing all of the products and services of a Golf Course, including tee times, memberships, lessons, events, and more. 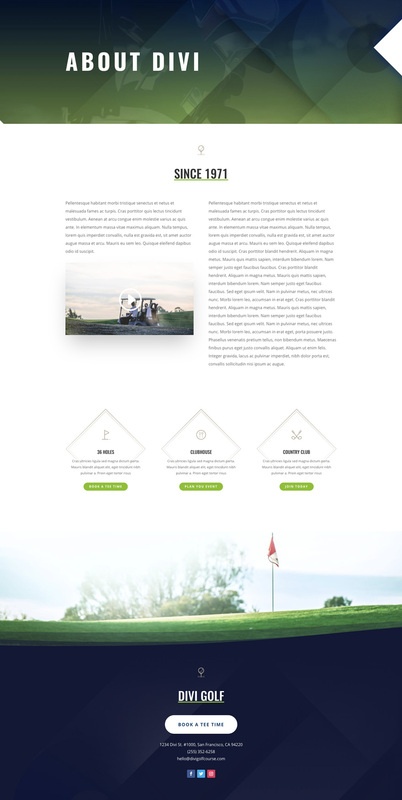 Getting a brand new Golf Course website up and running will be fun with this layout pack. 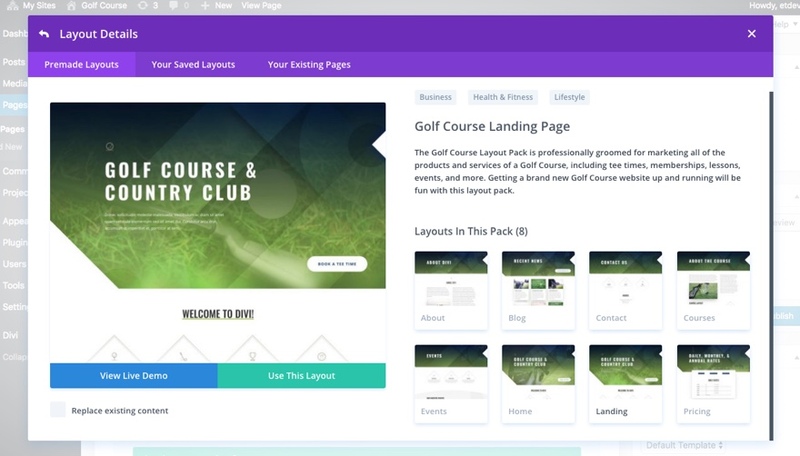 This Golf Course layout pack is perfect for any Golf Course website. 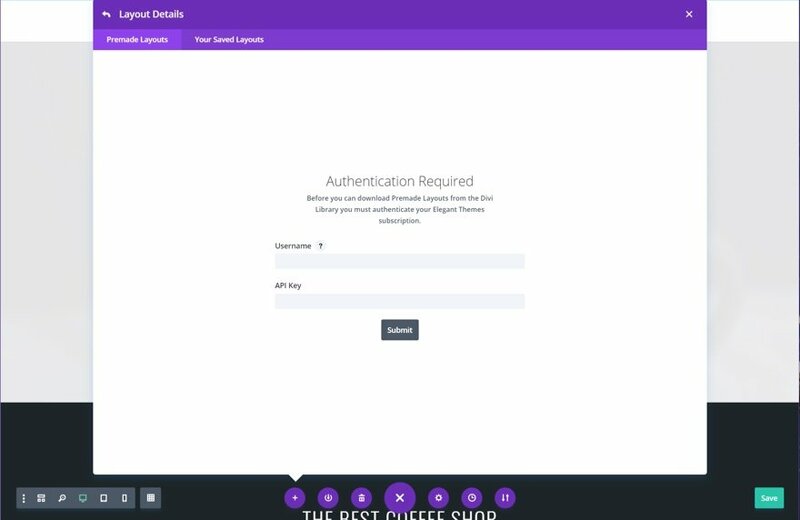 It has more than enough pages to feature everything you need including a courses page to highlight course information, an events page, and a unique pricing page. The design is beautiful with some great looking images. I especially like the diamond background images and custom icons used for blurbs. To access your new layout, simply activate the Visual Builder when editing a page and look for the “Load From Library” icon in the page settings bar (it looks like a plus symbol). Click this icon to launch the Load From Library popup. Under the Premade Layouts tab, you can easily find the new layout by scrolling through the list of layout packs. Once you find the Golf Course Layout Pack, click on it. You will see all the individual layouts included in the pack. Select the layout you want for to use and then click the “Use This Layout” button. 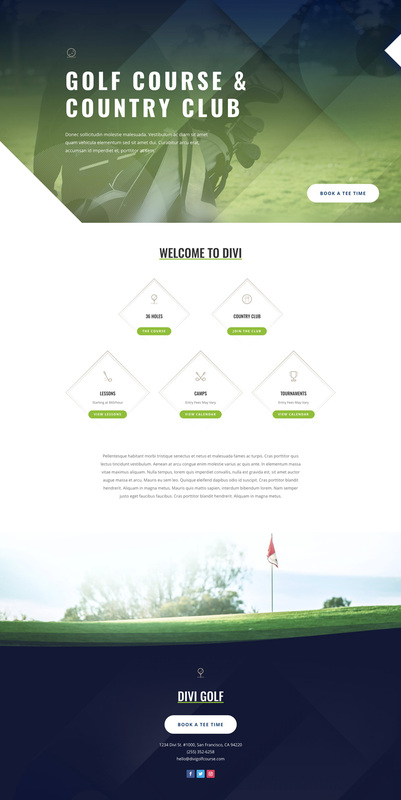 The post Get a FREE Golf Course Layout Pack for Divi appeared first on Elegant Themes Blog.